The actor talks working with children and animals, and the end of the Batman trilogy. Morgan Freeman makes impressive use of his facility with words in director Rob Reiner's "The Magic of Belle Isle." In “The Magic of Belle Isle” Morgan Freeman reunites with director Rob Reiner – they previously worked together on 2008’s “The Bucket List” – to play a role unique to his filmography: a verbally precise, wheelchair-bound author of Western novels who, following the death of his wife, develops a greater taste for alcohol than for life. But a summer stint house- (and dog-) sitting at a lakeshore cabin threatens to reawaken his passions, thanks to a beguiling neighbor (Virginia Madsen) and her three young daughters. The 75-year-old performer talks to PopcornBiz about getting into the head space of a writer, carrying rare romantic moments and, with “The Dark Knight Rises” around the corner, what his soon-to-end stint in Gotham City meant to him. 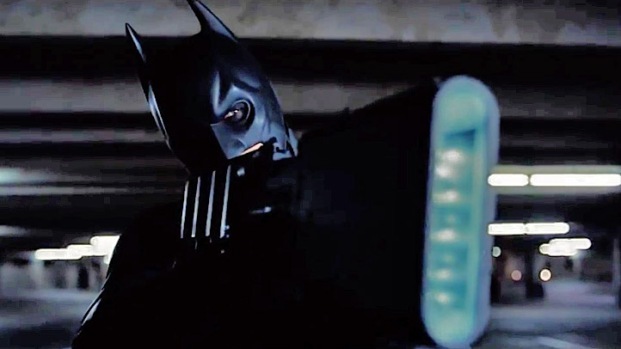 New "Dark Knight Rises" Trailer Reveals Batman's Secret Identity! Christian Bale returns for "The Dark Knight Rises," the final chapter of Chris Nolan's epic Batman trilogy, as the caped crusader faces off against he fiercest foe yet, Bane (Tom Hardy). Co-stars Anne Hathaway, Joseph Gordon-Levitt, Michael Caine, Morgan Freeman and Marion Cotillard. Opens July 20. Is it a good thing to work with children and animals? It's not a good thing to work with animals necessarily – unless you're in a western and you're riding a horse. Other than that I wouldn't fool around with animals for the most part. I think Clint [Eastwood] did a good thing working with the orangutan. They're smart. I had a good experience with a dolphin, which are smart. Dogs – you really have to find a smart dog… Children actors, they're fine. There's no problem at all working with children. I think that Fields meant that if you're going to work with children and animals they're going to pull focus. How would you characterize your working relationship with Rob Reiner? 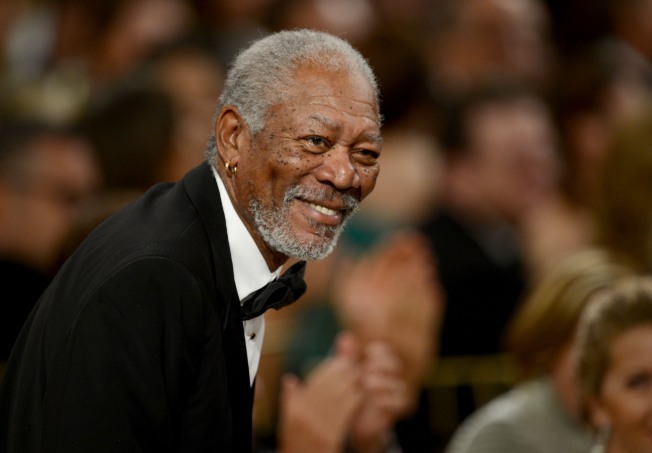 Morgan Freeman chats about receiving the 39th AFI Lifetime Achievement Award. 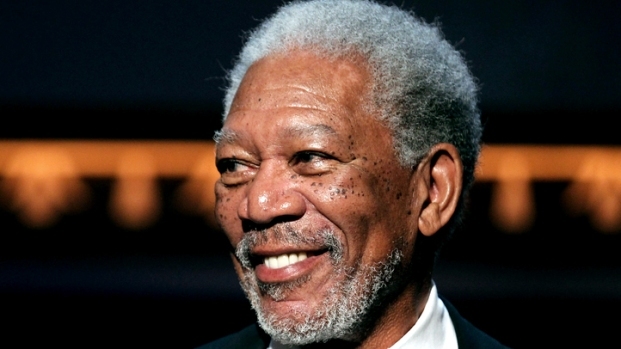 Find out which of Morgan's many movie roles is his favorite. Plus, the acclaimed actor talks about filming the latest Batman flick, "The Dark Knight Rises." It's a love relationship. I love the man! He's a big, old teddy bear. He loves to hug. He's very conscious of the world and how we're treating it. He's very socially involved. I think he's a cinematic Mahatma – that's a term that I've coined today. He's a great soul, caring, and as a director this all flows in with at the same time as his ability to function quickly. He's like Clint in that he wastes no time, just getting in and getting it done and moving on. There's no dilly-dallying around, doing takes just to see what will happen and things like that. Rarely does an actor get to play a character that speaks this articulately and eloquently. How did you land on the voice you had for this film and relish the words you were given? I asked Rob when I saw a run-through early on, I said, 'Where did you get the voice from?' He said 'That's your voice. We didn't do anything to it.' So I don't really know where it came from. I know the guy is a drinker, and so I think all I did was that I got a little guttural in the speech, but the microphone doesn't pick it up as guttural. It picks it up as very clear. I thought, 'Okay, that's nice. Good.' He speaks like a writer who writes well. Did you get a different understanding of the writer's mentality from this film? I have over the years, from my high school days, tried my hand at writing. I remember in this class we had to write short stories and stuff, and as an actor I've always wanted to do certain things that I didn't see me in. So as a historian I've tried to write stuff and I just never could get past about 40 or 50 pages. I know that it's lonely. I know that it takes an enormous amount of time that you're going to be sitting in front of a typewriter, trying to get into a character that will write itself. I think it's probably the same thing with story. If the story develops itself then okay, fine, you can do it, but if you have to work too hard at it…What that tells you about writers is that they have to write, and I don't have to write. I'm an actor. I have to act. You have some great chemistry with Virginia Madsen. What was special about getting to have that romantic lead role onscreen this time? I didn't think of it as a romantic lead, really. It didn't start out to be romantic. Virginia just shifted the whole thing on her own. She said she didn't really make a choice, but that it just happened. We were in the situation where she was saying goodnight and she just came over and gave me this kiss, and the movie went from here to there right there. So she turned me into a romantic lead. With “The Dark Knight Rises” on the way, how was working on all three of Christopher Nolan’s Batman movies, being a part of something so hugely commercially and admired artistically? It was a very pleasant experience all the way through. Chris [Nolan] is, gosh, a very bright man and so relaxed, so easy on the set. It was a joy working with Chris and with Wally [Pfister] and that whole crew, Christian [Bale] and Michael [Caine]. We've sort of gelled over the time that it's taken to make these three movies. So coming together again, making this third one, people ask if we're sad that it's going to be the end. No, we're not sad at all about it. But I'm very happy that I was involved.